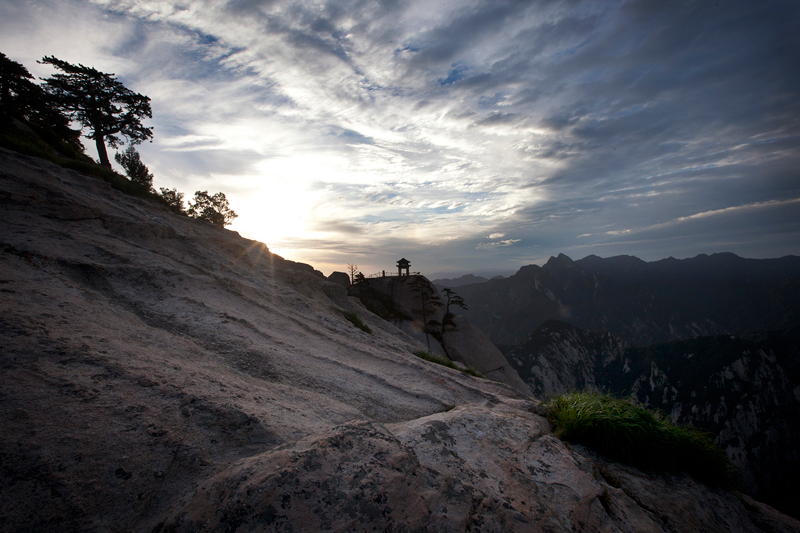 Located at the southern tip of a vast and dusty plain, the Qin Ling mountain range emerges in huge granite plates from the waters of the yellow river, piecing the clouds and dividing the province of Shaanxi. 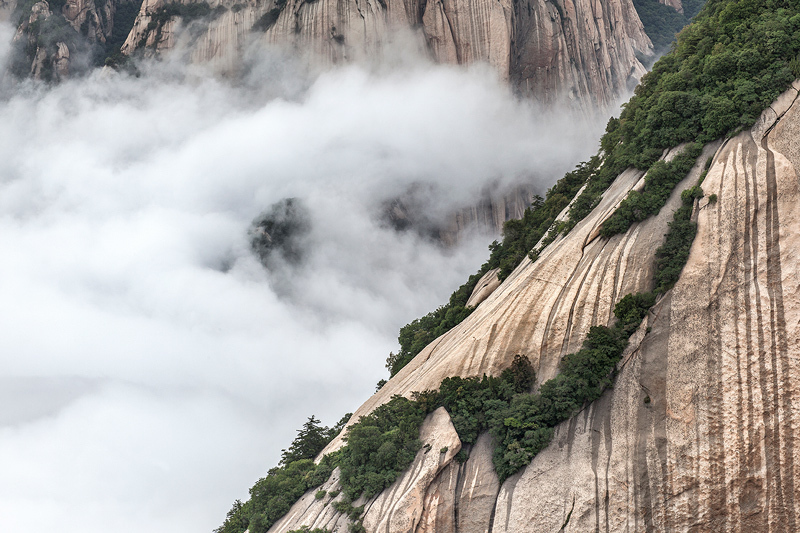 Its tallest mountain, the imposing Mount Hua (7070 ft.) with its five summits, is well known in China as one of its “Five Great Mountains”, and historically has been home for Sages and Taoist monks. Today the quietness of past times is lost. Its dramatically steep slopes (this mountain is considered as "the most precipitous mountain under heaven") have been softened with some comfortable paths and carefully constructed stairs. And thanks to the impressive gondola lift opened to the public in 2013, today 1500 hikers can reach the north peak, every hour, in just twenty minutes. 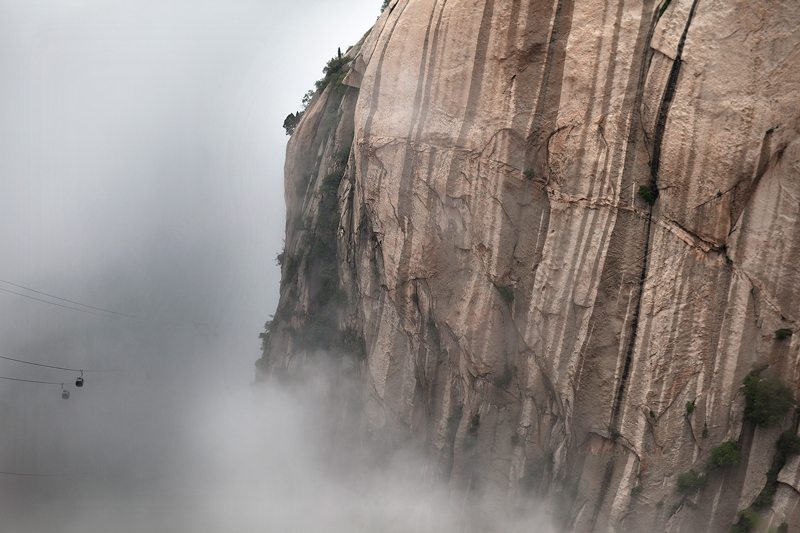 But even so, one can still find the authenticity of this impressive mountain in its shape (Hua Shan takes its name after its lotus flower with five petals form-) landscapes, magnificence, and in some of the paths that you must be very brave before to taking on. One of those well-known tracks is the infamous one built on wooden timbers and hanging precariously on a breath-taking cliff for some hundreds of meters. This suspended corridor leads you to an small temple cave. For the unwary it could also lead to death. 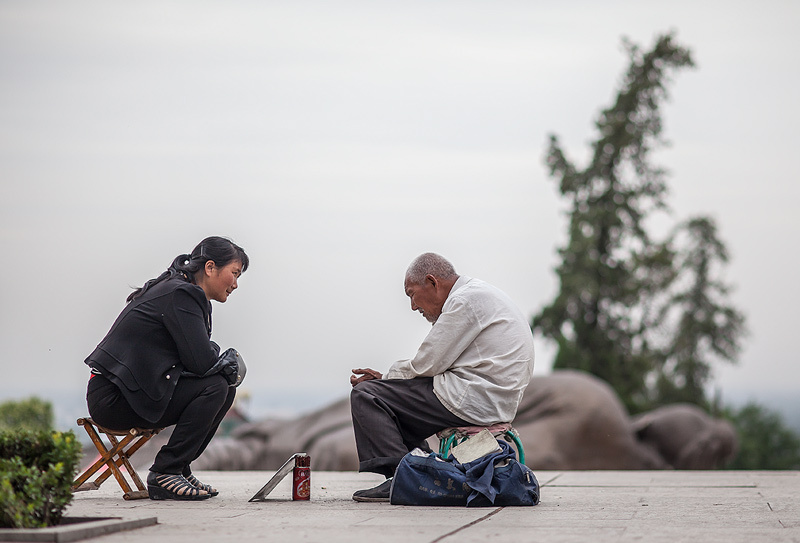 Old mates conversing in the accesses of the Cloister of the Jade Spring (玉泉院) Taoist Temple, located on the entrance of the west gate. 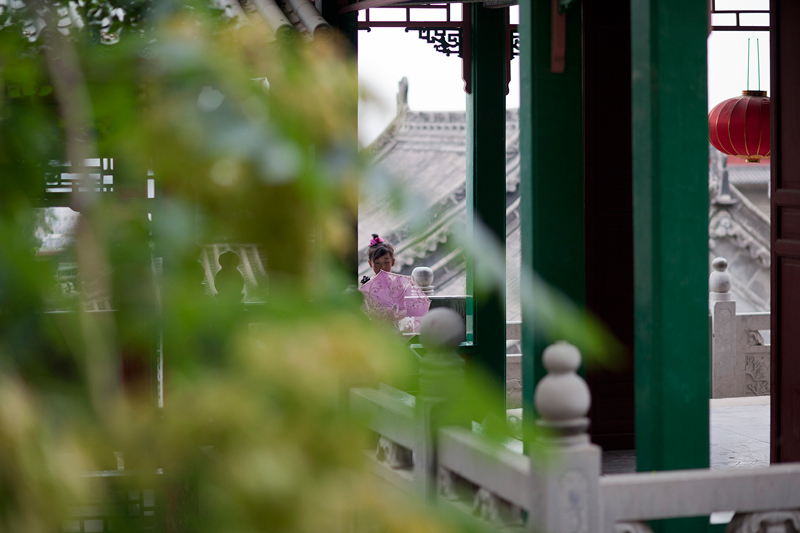 A girl is abstracted with her ​​umbrella in Yuquan Yuan's temple gardens. 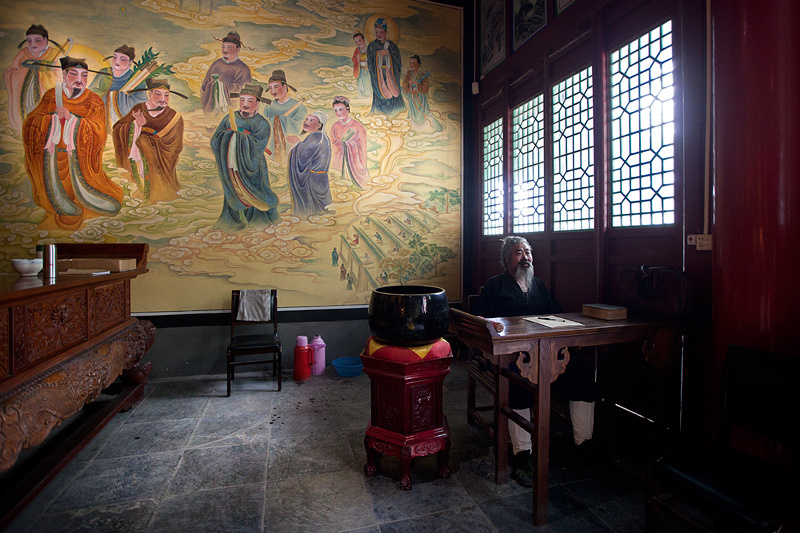 Mr. Jin Yicheng, head monk of the Cloister of the Jade Spring (玉泉院), seems to be observed by the figures of the murals. None of the monks portrayed in this project, allowed to be photographed initially. A fortune teller and his client. 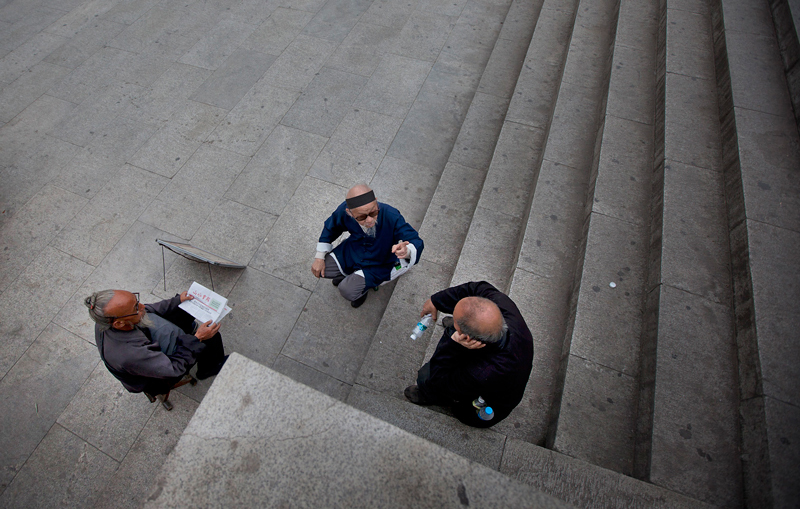 Conversation on the stairs ascending to Yuquan Yuan temple. The imposing watermarked granite walls of the mountain, makes the cable car that ascends to the north peak seems very small. 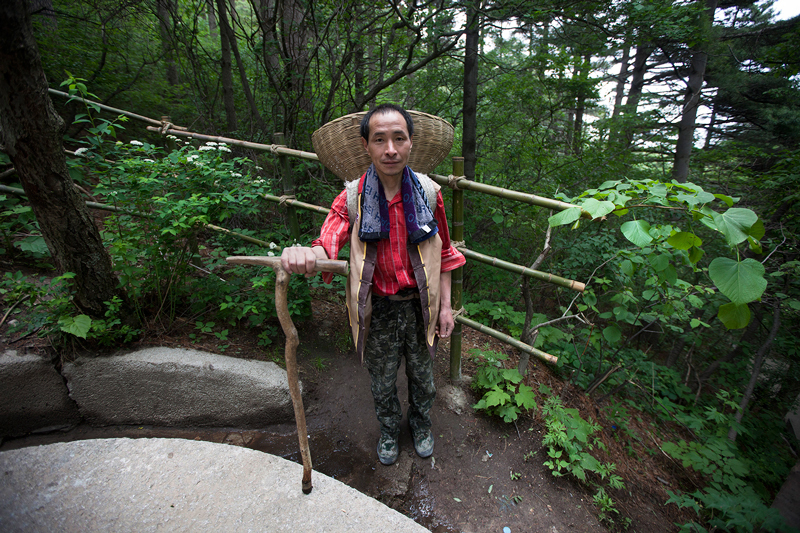 A porter shows his walking stick. This is a very important tool for them, since it is used to support the load on the moments of rest. A worker rests in a cave drilled in the granite. 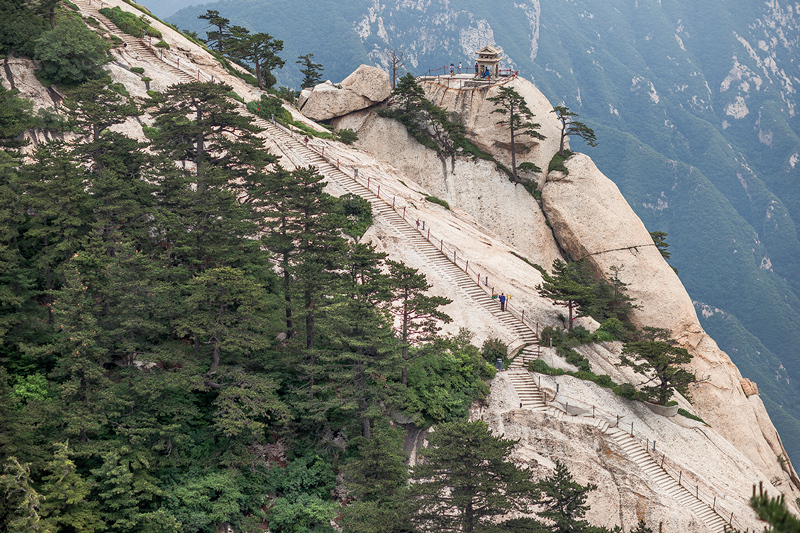 Hua Shan's beauty lies in the verticality and grandeur of its landscapes. 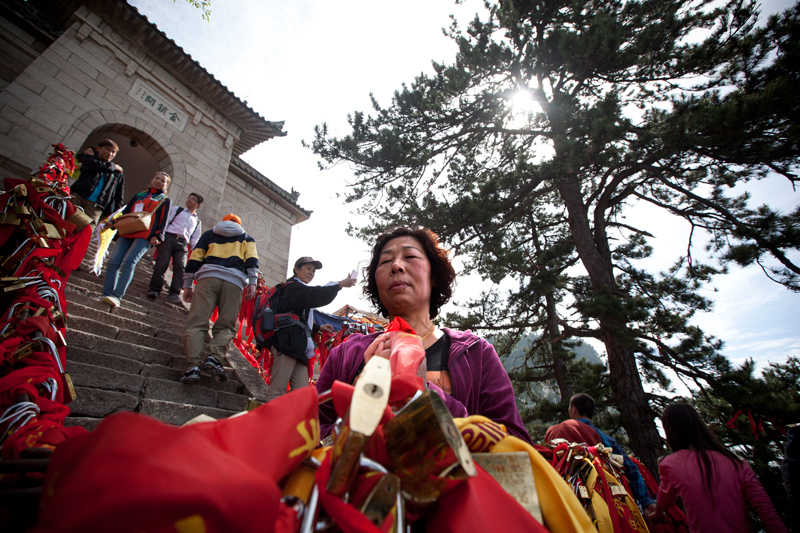 It is customary to buy a golden lock and add it to the iron railings as a prayer for the beloved ones. 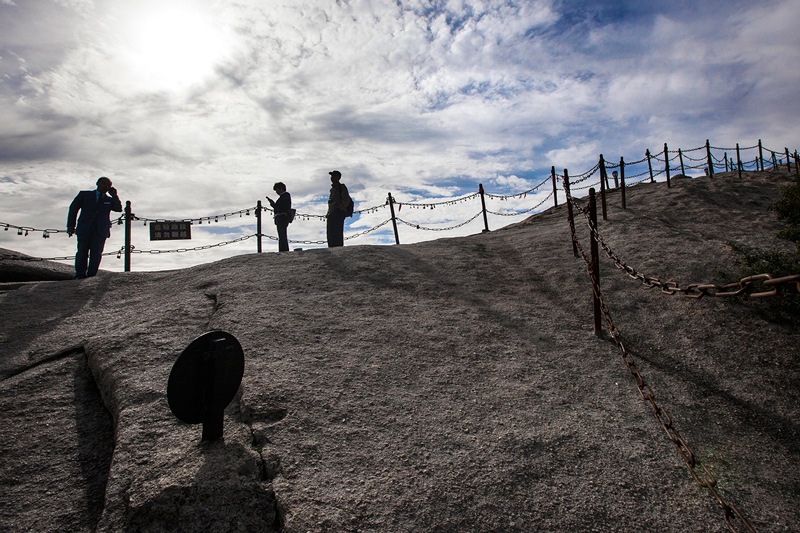 When climbing over the "Blue Dragon Range", travelers arrive at the "Gold Lock Pass". 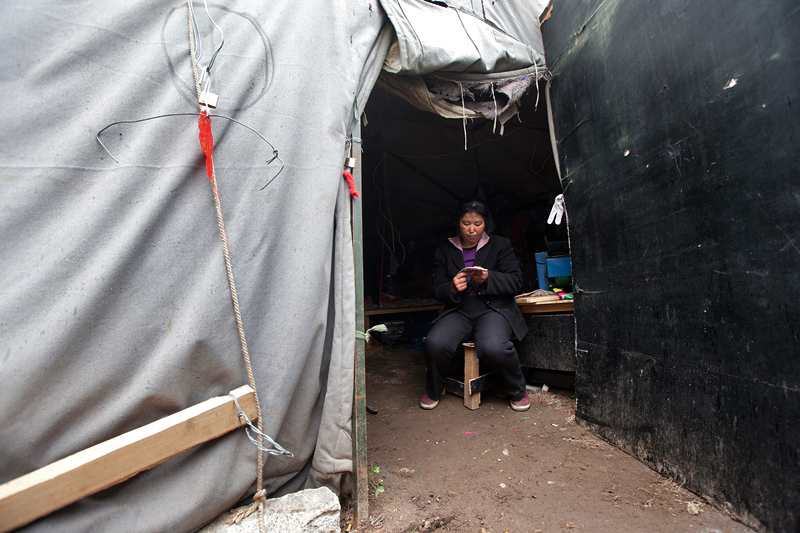 Hundreds of thousands of locks are hunged in the most unlikely places all over the mountain. 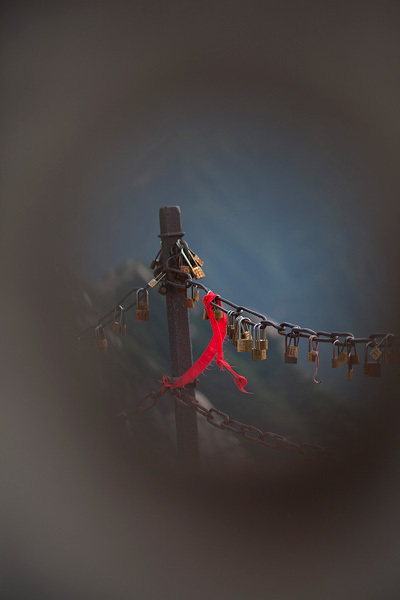 The pollution generated by the locks and the red ribbons is not considered yet as a problem. All routes in the mountain are well marked and defined. 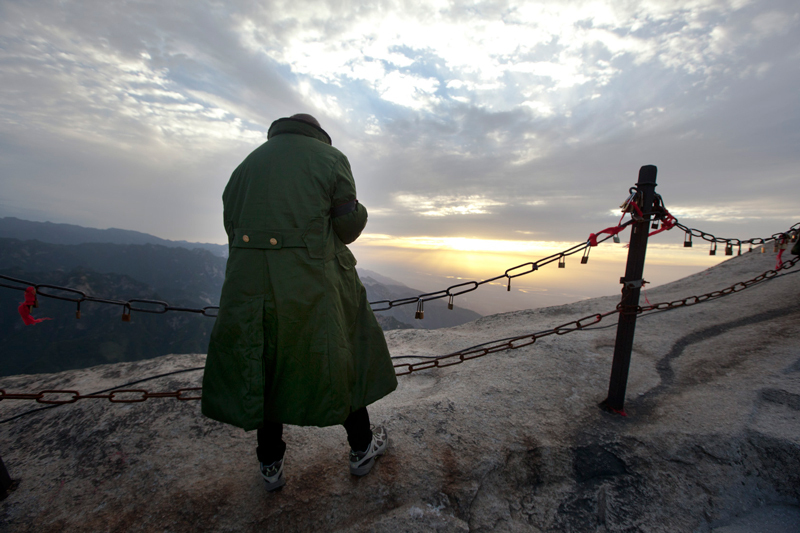 Sunrise in the east peak, named "The peak of the Rising Sun". A porter descends with empty water bottles. The water is a luxury that is carried on the shoulders. 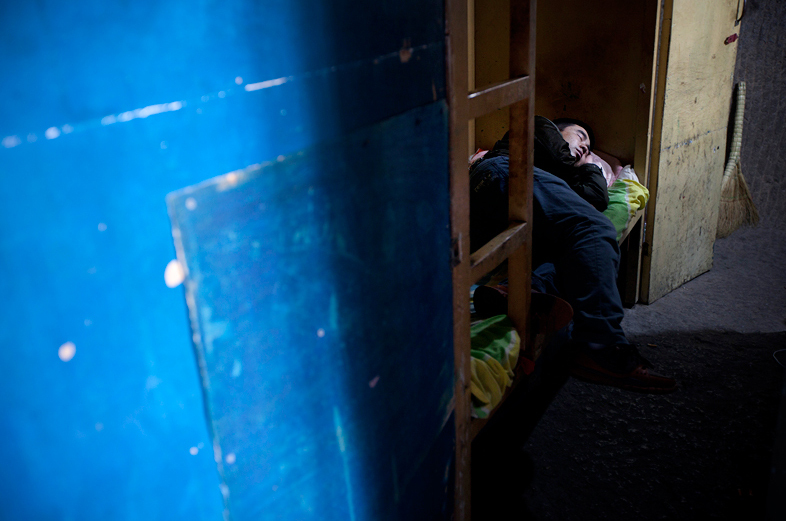 Some workers spend the night on the mountain in temporary settlements. 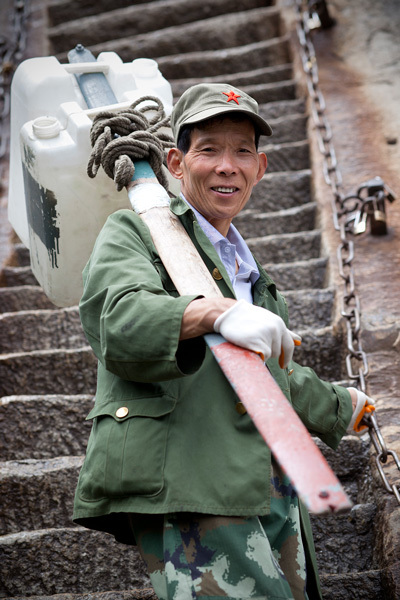 A porter ascends the stairs leading to the east peak. The chess pavilion. 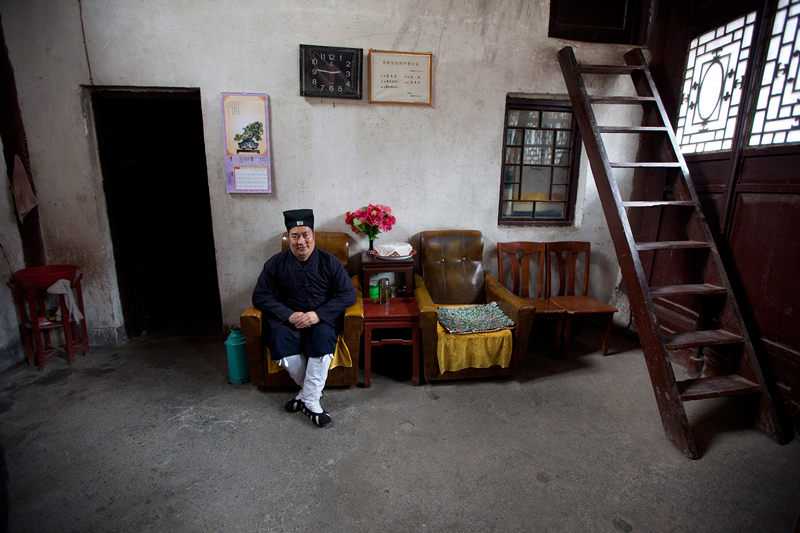 A Taoist monk poses in front of his quarters in a temple. 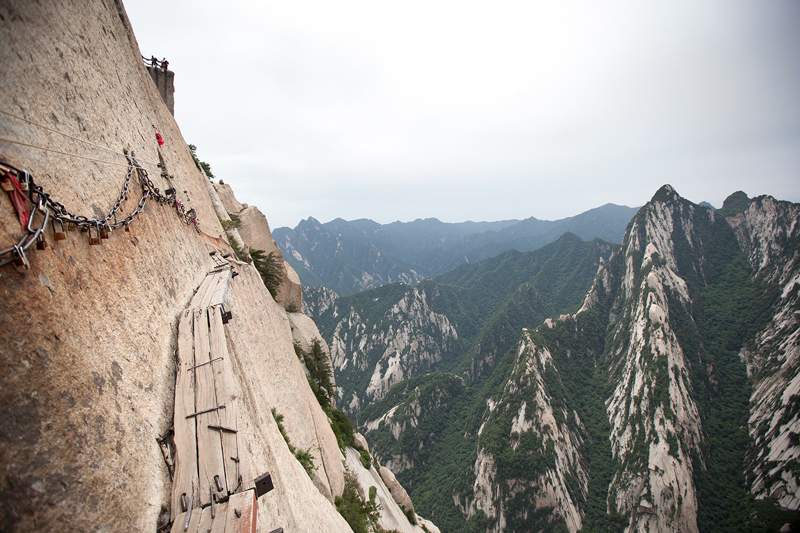 Stairways to heaven in Hua Shan. 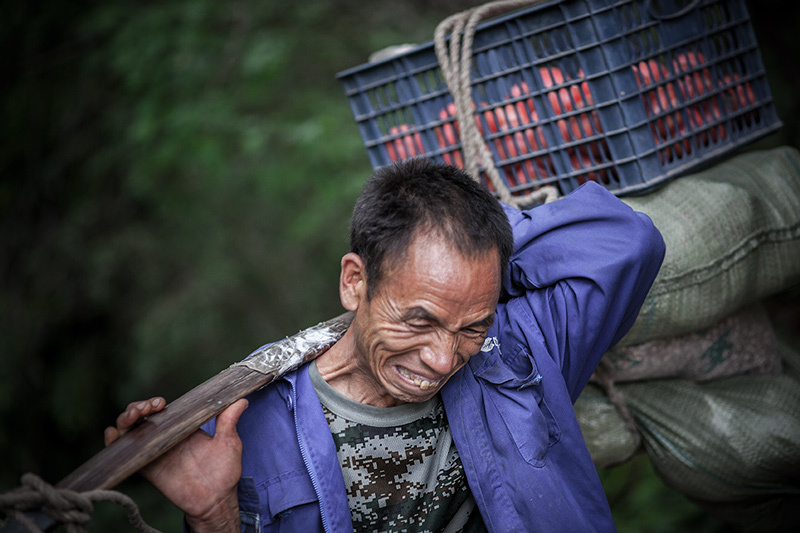 Although the gondola lift has meant a great advance to transport goods and materials, human effort is still required to distribute it all over the mountain. A porter charges energies before resuming his work. The work of these men is indispensable to supply any activity that takes place in the mountains. 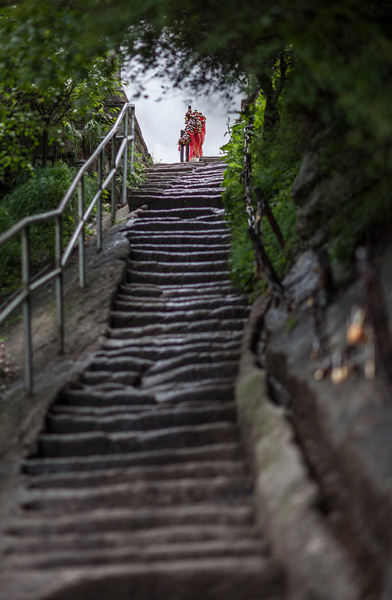 The pass of the "Vast Sky Plank Walk" (长空栈道) leads to an small cave with the image of Lao Tzu. To pass this stretch we must necessarily be equipped with a safety harness since the fall is deadly. 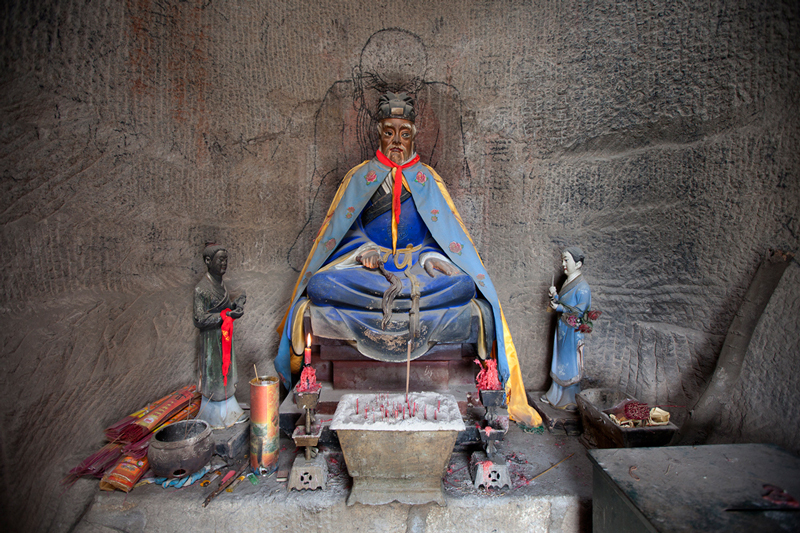 Once the passage of the "Vast Sky Plank Walk" is overcomed, one comes to a small cave with an image of Lao Tzu. 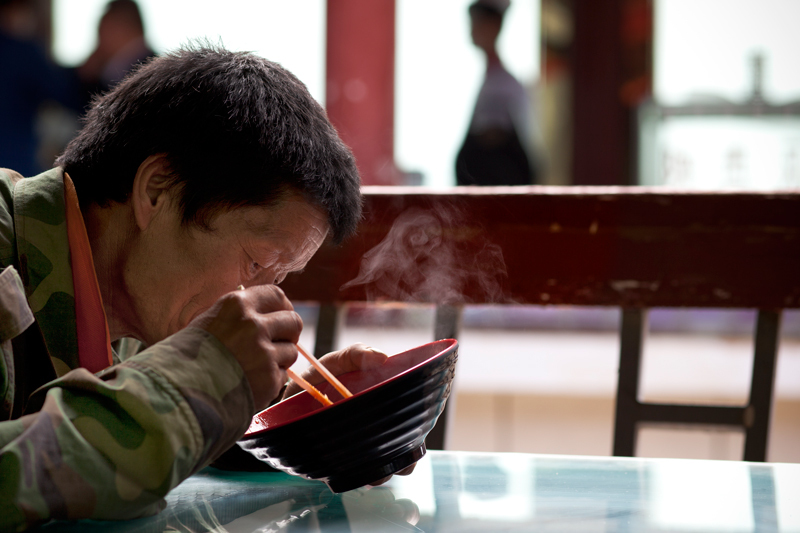 Taoism does not worship any God, but the author of the Tao Te Ching is revered as the personification of the Tao. 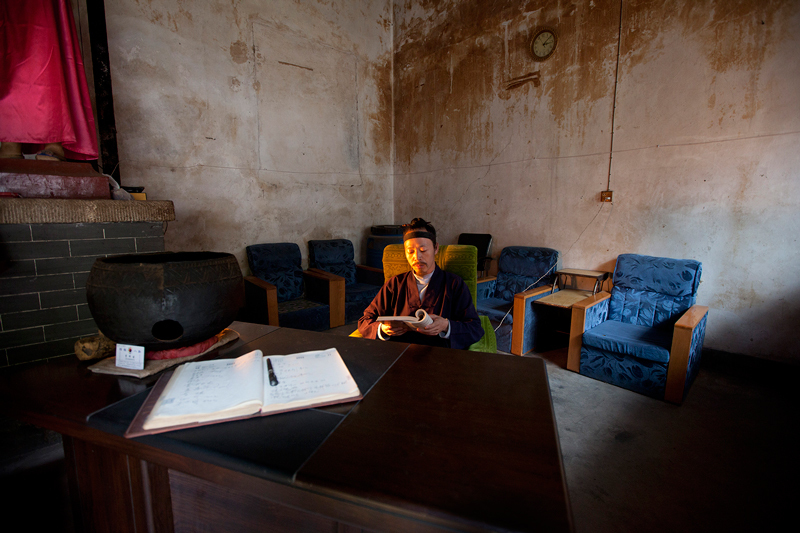 A Taoist monk reads illuminated by a electric resistance heater. The sunset seen from the central peak. The Yellow River shines under the light of the last rays of sun. Vista from the central peak.